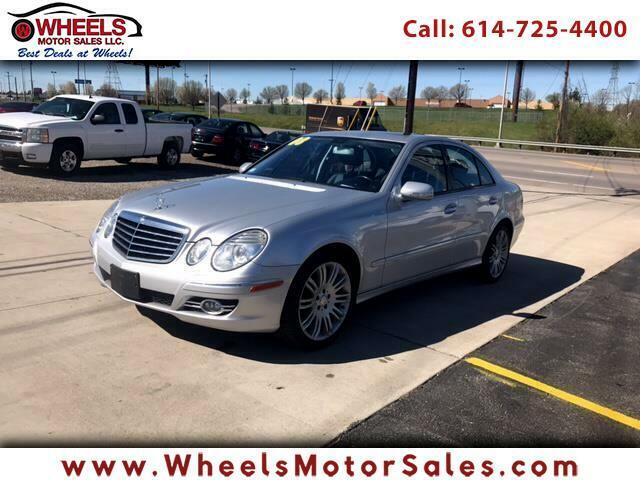 It has Clean Car Fax and 3-Owners ... PRICE REDUCED ... WELL Taking care of and shows 19 Service Records... Classy 2008 E-350 Mercedes. Car is ready to drive off the lot.. Power sunroof has New brakes & New Tires ... Fresh Oil Change & Filter ... Automatic Transmission ... Air Conditioning blows ICE COLD AIR !!! Power Windows and Power Door Locks ... Power & Heated Seats ... Need financing we can help, fill an application online at www.wheelsmotorsales.com or call us at 614-725-4400. Schedule a test drive today by phone or email us at sam@wheelsmotorsales.com " Located at 1188 Georgesville Rd. Columbus,Ohio 43228 where always " BEST DEALS AT WHEELS " .